Do bạn want Liam Aiken and Emily Browning to ngôi sao in another movie together? người hâm mộ lựa chọn: It depends on what type of movie bạn mean. How would bạn pronounce the couple? Would bạn like to read my "Love From Our Deep Past" fanfiction story? It's in this club, and I will be adding to the story until there's a maximum of 10 parts. người hâm mộ lựa chọn: Sure, it sounds interesting! Once Liam and Beatrice had gotten out of Emily's car and went inside, they sat on the sofa and talked about the night. "I noticed that bạn kept staring at her, Liam," Beatrice stated. "I couldn't help it, Beatrice! I thought she looked quite lovely," Liam replied, "You have to admit that bạn like her too, Beatrice." "I do," Beatrice admited, "She reminds me of someone, but I'm just not sure yet." "Aurora," Liam answered. "Of course," Beatrice whispered, "How could I not realize?" Liam and Beatrice had managed to get dressed, brush their hair, and eat breakfast in 7 minutes, and with 3 phút left for the plane to arrive, they thought they were doing pretty great. Liam looked at the notebook, and hesitantly picked it up. Although it was very thick and worn down, it was very light, as if only nghề viết văn was inside. He was about to open it, when he suddenly heard Beatrice cry, "Liam! Look who's on the news!" Once they had put away everything, Liam and Beatrice sat on his bed. They were silent for a few minutes, thinking about what had just happened. Liam was still thinking about Beatirce's notebook, when he saw the large pile of pictures he had been looking at before Beatrice came inside. He picked up the pile, and asked, "Would bạn like to look at some pictures?" Beatrice smiled at him, and replied, "I would tình yêu to!" It was early January of 2004. The night sky was perfect, for the full moon and stars were shining clearly. There was a clear area of pure green grass, and a park bench was cái tát, đánh đập, smack in the middle of the field. There were two people sitting on the bench that night. There was a boy in a blue crew-neck sweater and tan pants, and a girl in a long, black, lacy dress. 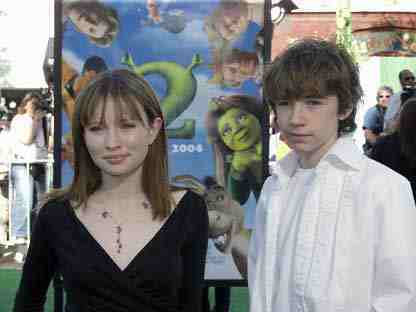 These two people were Liam Aiken and Emily Browning. a question đã được thêm vào: I have an idea for a story for Liam Aiken and Emily Browning that I want someone to write! Which movie premire is this?